30 years after the last road race at Imatra in Finland, it’s happening again. August 19-21 will see road races for Superbikes, Supersport 600s and Classics. or those who don’t remember back to 1986, this is Marco Lucchinelli having some fun at the Finnish GP in August 1981, when he sealed the 500 world title ahead of fellow RG500 rider Randy Mamola. Suzuki’s RG should’ve been past its sell-by date by then, but Yamaha were flailing around with rotary valves and reed valves, square four and V4s, while Honda had yet to unleash its NS500, the first truly modern GP bike. Imatra – notorious for its railway crossing – was the last full street circuit on the 500 Grand Prix calendar. 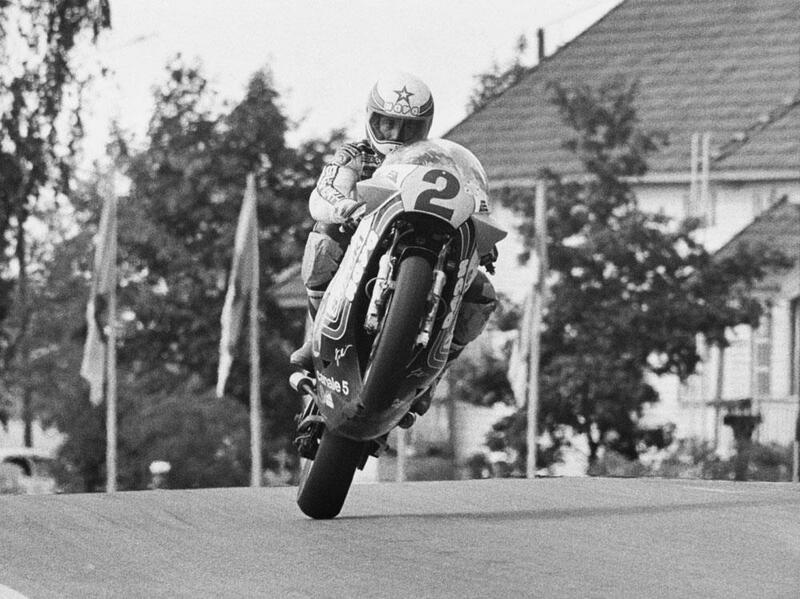 Like many riders, King Kenny Roberts hated the place, not least because he failed to finish the 1981 Finnish GP due to a broken power-valve housing, which effectively ended his hopes of a fourth consecutive world title. “You can’t really blame Yamaha for the breakage – they don’t have a railway crossing in their test track,” said Roberts, who had ridden an inline four to the 1978, 1979 and 1980 championships. Whatever happened to Pat Hennen?